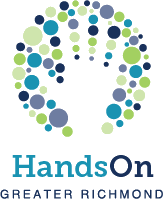 Please Note: HandsOn Greater Richmond offices will be closed from December 24 - 28. This time of year, we get many calls from volunteers wanting to serve. We love this interest in volunteerism, but know that many of our nonprofit partners aren’t always able to handle the influx of people. The end of the year can be a challenging season for nonprofit workers and it’s important that our partners are able to rest during the holidays too. To see available volunteer opportunities click HERE. Going beyond traditional volunteer opportunities, we’ve brainstormed some alternative ways for you to support nonprofits this holiday season. Doing a Secret Santa or other Gift Exchange? Ask for or give the gift of charity instead. Tell your coworkers or family you’d like a donation in your name for a favorite cause. Make or buy treats as a thank you for nonprofit staff. Contact your favorite agency that provides a much-needed service and offer to give small gifts or gift cards to their employees. Give through your local Community Foundation. Learn about nonprofits and donate at Give Richmond or read about establishing a fund or joining a giving circle. Answer a Wish List. Ask a nonprofit that serves your favorite cause for a wish list. Purchase items that will support their services year-round. View a list of local organizations you might contact on ConnectVA.